or take it home with you. Experience the unique qualities of the new VC technology. More than a century of piano manufacturing tradition combined with state-of-the-art technological possibilities result in an impressive volume of sound, brilliant colours and exceptional ability to project tone. 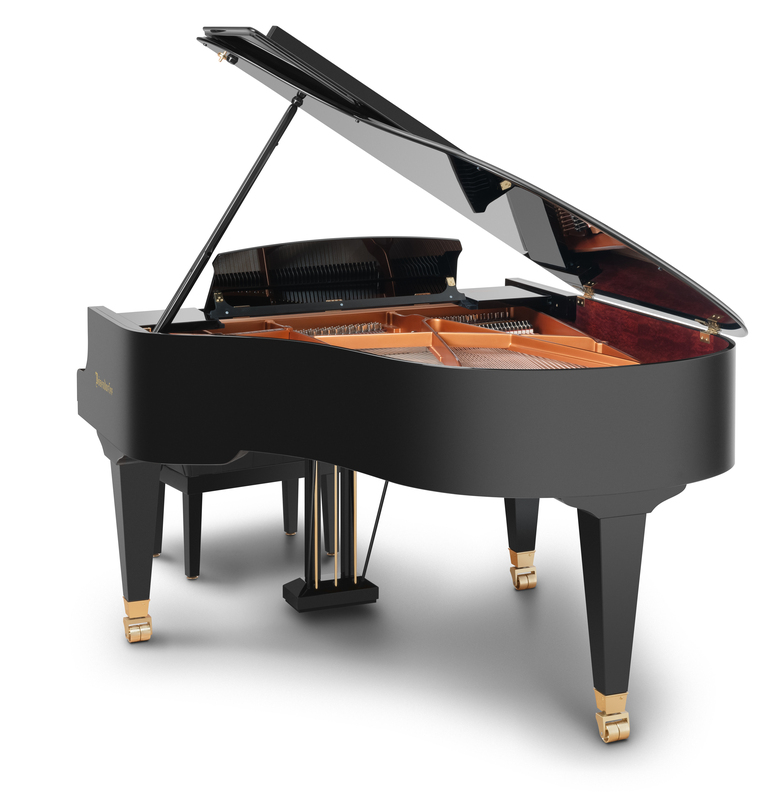 With its compact dimensions, this grand piano masters the most demanding interpretations with ease. Close your eyes and be inspired by the unmistakeable sound – unique, multifaceted, expressive. The latest Bösendorfer Grand Piano 185, while retaining the wonderful tradition of a brilliant and warm sound, features new and highly precise mechanics that guarantee perfect control and attainment of a huge range of dynamics and colours. For an instrument of this size, the volume of the bass and the capacity for finest nuances are spectacular. This piano, on account of its strong and stable mechanics, can be a wonderful practice instrument for the home, but equally a great concert instrument for a small hall. Let your heart be inspired by this piano. Listen to the grand works of great masters of piano music without lifting one single finger. After all, every pianist deserves a break. The Bösendorfer Disklavier Edition will surprise you by playing back any performance with ultimate precision and refinement. Listen to Rachmaninoff playing his own works, wonder about the mystical interpretations of Arthur Rubinstein, groove to Oscar Peterson’s tunes: Our Bösendorfer Disklavier Edition comes with more than 1.000 recordings of different styles and genres. We apply the most sophisticated system there is, the Disklavier Enspire player technology developed by Yamaha. Pianists cannot only enjoy listing to a library of performances but immediately record and play back their very own music. This sound miracle can also be enjoyed in the middle of the night with the Bösendorfer Silent Edition. We only use the state of the art Yamaha Silent SH System which does not alter mechanical nor acoustic qualities in the slightest. Musical inspiration, acoustic and digital in nature: glistening sound waves oscillating in two worlds. Artisans will prepare a colour sample, before we start production and collaborate with you on your design. After your approval, your very own, unique instrument is crafted: An instrument as extraordinary as you are.